London's Docklands Light Railway service is to introduce new premium sections in the hope of attracting more affluent travellers to coincide with the increase in capacity being offered by the planned “three car” project. 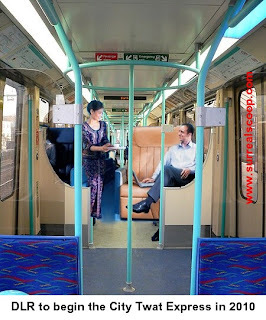 The new business service will be introduced at the start of 2010 to occupy the new third carriage being added to the DLR trains. However many people have criticised the new business class as an inefficient use of space on a service that has seen great demand as the Docklands area has grown over the last two decades. fab! ill be up for a trip on the interciti quickie!